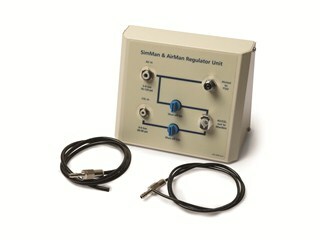 A regulator will be needed if you choose to use an existing fixed air source for running the simulator. The regulator will connect to wall air outlet or pressurized air container as air source. Can also connect to standard compressed air and CO2 containers available from local suppliers.